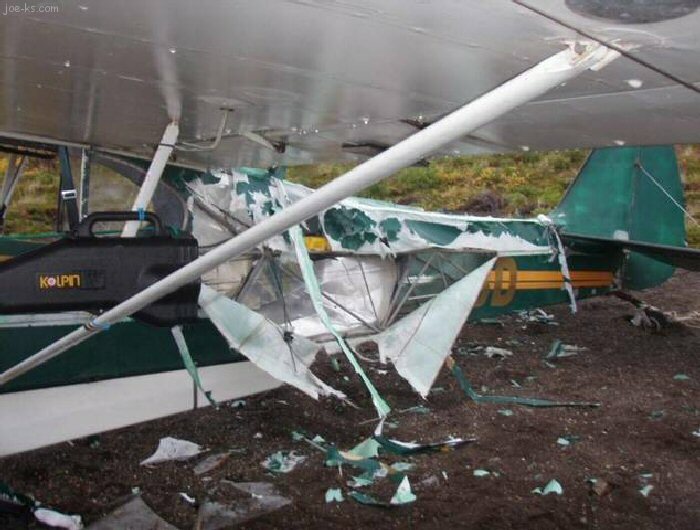 A bear smelled it, and this is what he did to the plane. 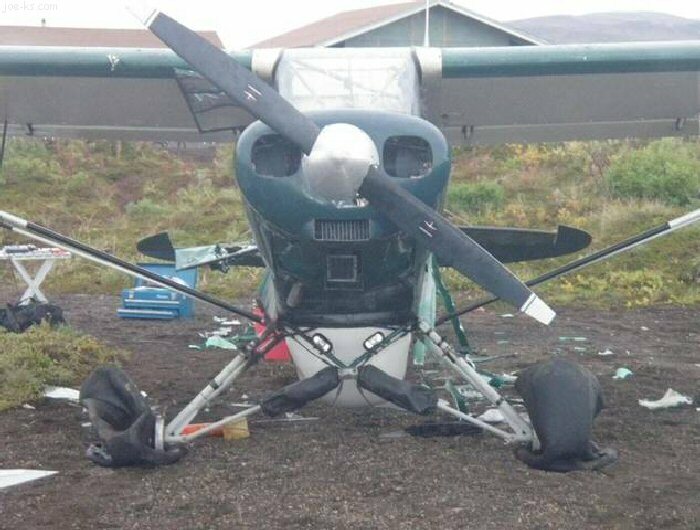 The pilot used his radio and had another pilot bring him 2 new tires, 3 cases of duct tape, and a supply of sheet plastic. 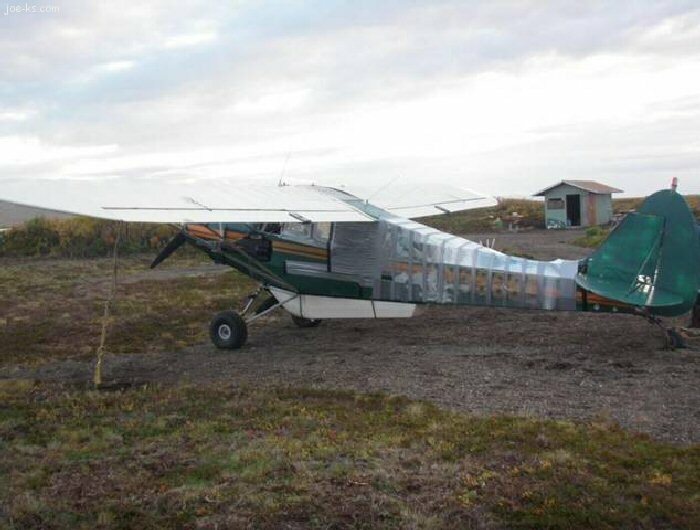 He patched the plane together, and FLEW IT HOME! 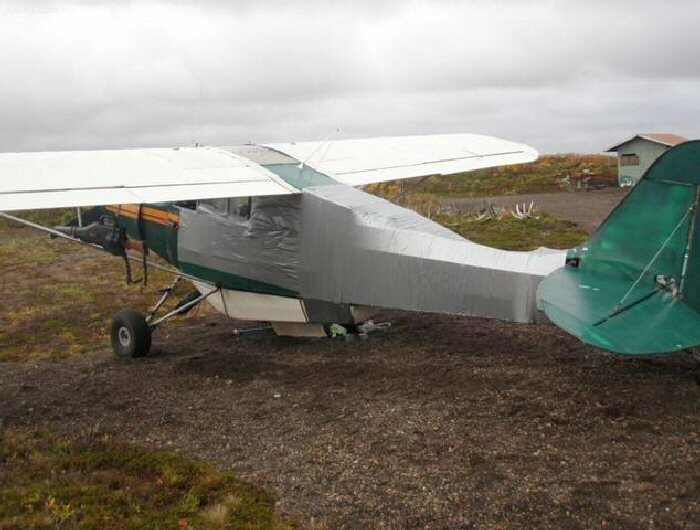 Well, first of all, thats 4-5 layers of duct tape, and it is about the same consitency as the fabric skin. 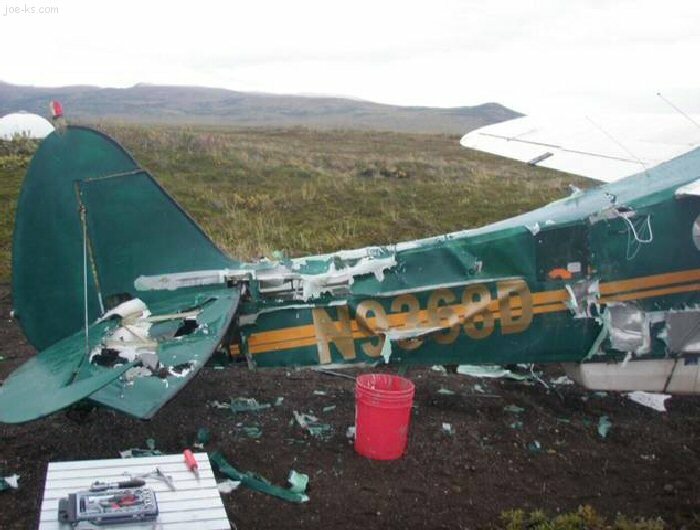 Secondly, he was alaskan, so its kinda in his blood not to die in a plane crash. Darn that's insane. 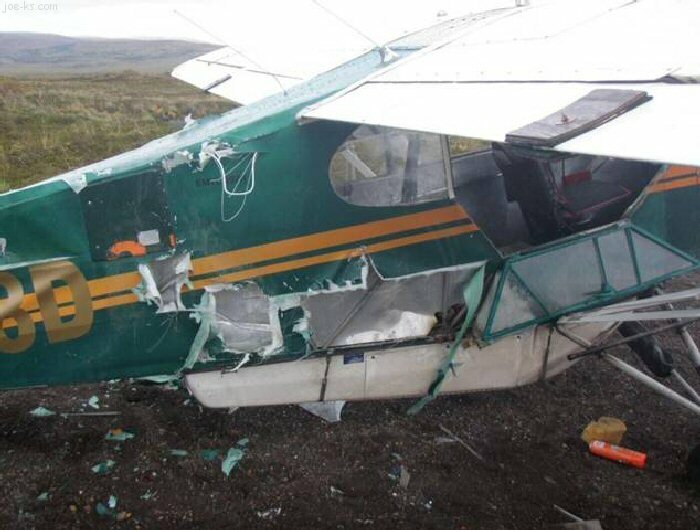 O.o I personally would probably be scared of going in a vehicle that is damaged like that. That looks like my car!!! That is amazing. Duct tape really does hold the universe together. Page created in 0.604 seconds with 46 queries.